The specific programs include solar installations in Haiti and Honduras. We have prioritized 3 projects in Leogane, Haiti. Key partners are the Notre Dame Haiti Program and the St Boniface Foundation. We completed a 16 panel 3kw solar install on the Notre Dame Residence Filariose on July25th, 2011. We also completed a rural school in Leogane on July 29th, 2011. 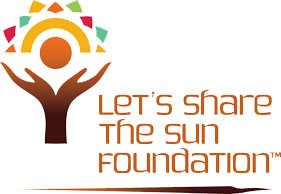 We are raising funds for a solar install on the salt factory, and home rebuild project (initially 60 homes). The Notre Dame Haiti Program has been in Leogane for 17 years. The director and residence managers are well educated local Haitians who have engaged in an unprecedented Master Planning Project with the local community post earthquake. The Master Planning Meeting was held at ND’s RF in March 2011. We have also prioritized installing solar on a NPH Nuestros Pequenos Hermanos school in Honduras. In this case, a local solar installation company; SOLUZ will do the work, and the Foundation will assist by fundraising for the project. .
We will have a dramatic impact on the communities and provide a replicable model for other locations currently living without electricity. Each installation will be evaluated through a cost benefit analysis. Site #1 in Haiti currently spends approximately $2400 a month in diesel fuel to run a generator 10 hours/ day. Our new solar installation will have no ongoing fuel costs, and will likely run uninterrupted by charging batteries during the day and meeting daytime electricity needs. . The salt factory will also decrease energy costs and improve productivity, which will allow them to lower the salt product cost. The product combats and helps treat those with elephantitis, a disease that effects 30% of the 10 million Haitians. The solar home systems will bring electricity to over 60 Leogane homes in 2011. While outside fundraising will be necessary, microfinance will be used to require program participants contribute a small amount of the total price. This will create a ownership in the installations. A revolving fund will expand the project to additional households. Solar home installations on new constructions will address the huge need for housing in the aftermath of the earthquake.